Has provided insurance coverage opinions, counsel and representation in disputes and litigation involving commercial and personal automobile liability, commercial general liability, uninsured/underinsured motorist liability, professional liability, first party property, workers’ compensation and employers’ liability, directors’ and officers’ liability and umbrella liability policies. Has represented national primary and excess insurance carriers and third-party administrators in high exposure coverage and extra-contractual “bad faith” litigation. Has represented business clients in disputes involving attorneys, insurance brokers, agents, carriers, third-party administrators, claims representatives and self-insureds. Has defended construction companies, contractors and professional employer organizations in suits involving alleged construction defects and catastrophic damages and injuries. Mr. Carlton represents business clients in complex civil litigation. 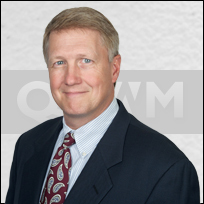 He provides consultation and representation in numerous areas of insurance coverage and defends insurers and third-party administrators with respect to coverage disputes and claims of insurance bad faith, deceptive trade practices and insurance code violations. He also defends insureds in business and personal injury litigation, including attorney professional liability, auto liability, premises liability, products liability, construction defect, catastrophic injury, and first party property claims; and maintains a commercial liability practice representing construction companies, self-insured employers and other business entities. Great Customer Service or How Not To Catch a Case of Bad Faith, CLM Atlanta, Atlanta, GA (2016). The Challenge of Integrated Data and Information Management when Splitting the Claim File, CLM Insurance Bad Faith & Coverage Conference, New York, NY (2014). To Split or Not to Split: Avoiding Bad Faith when Defense and Coverage Collide, CLM Annual Conference, Boca Raton, FL (2014). Preparing the Company Witness for a Bad Faith Deposition, CLM Insurance and Bad Faith Coverage Conference, Atlanta, GA (2014).